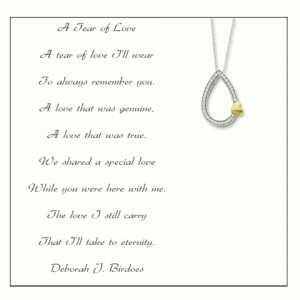 When I saw this Bereavement Necklace created by Deborah J. Birdoes, I just knew I had to offer this to my customers. This necklace is part of her new line of Inspirational Jewelry, and I must say, it’s by far her finest creation. I can only imagine the feelings that one would feel receiving and/or wearing this beautiful necklace. Such a special gift from the heart. At Remember Me Gift Boutique, we want to continue to be known as a company that cares and offers special gifts with a comforting message. As always, if you are not able to find exactly what you are looking for, PLEASE contact us. We love to offer our personalized service. If we do not have what you are looking for, we’ll find it for you. Flowers have been a beautiful and traditional sympathy gift idea and a common funeral gift for many years. 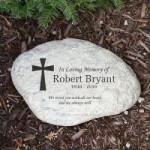 In the past, this has been an affordable and convenient way to express your sympathy message. However, with the change in our economy, and the convenience of the internet, sympathy gift ideas go far beyond flowers. 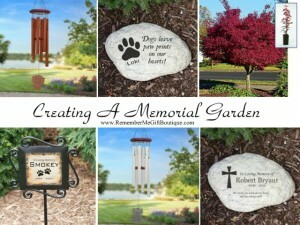 RememberMeGiftBoutique.com seeks to comfort those grieving, due to the loss of a loved one or the loss of a pet, by offering gifts that will last far beyond the life of flowers. 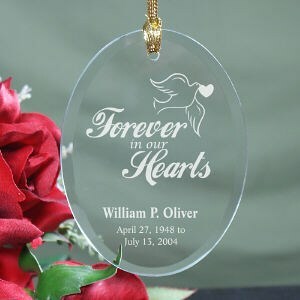 We have carefully and thoughtfully collected a wide variety of sympathy gift ideas that are sure to touch the hearts of those grieving and are often more affordable than sympathy flowers. 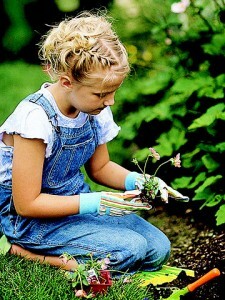 Rather than a floral arrangement, consider sending a Memory Tree to be planted in the loved one’s backyard. 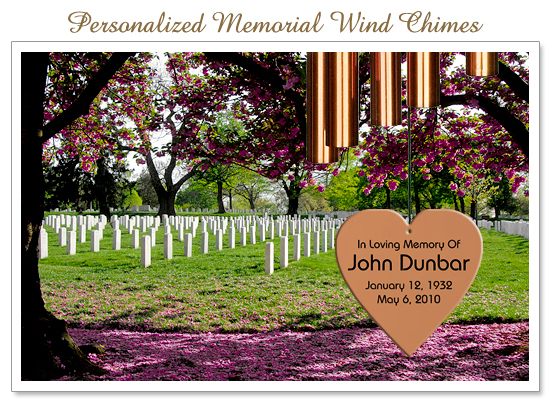 Adding a personal sympathy message to accompany the Memory Tree creates a beautiful sentiment that those grieving will certainly appreciate. After the Memory Tree is planted, many expand upon this idea by creating a memorial garden by adding personalized memorial garden stones, memorial benches or even personalized wind chimes. We truly value and recommend this idea as a comforting and lasting gift. Flowers are not typically sent after the loss of a pet. Many struggle when trying to decide how to express their sympathy message to those who are dealing with grief due to this type of loss. 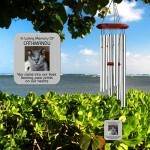 One of the most popular sympathy gift ideas is our Pet Memorial Jewelry. 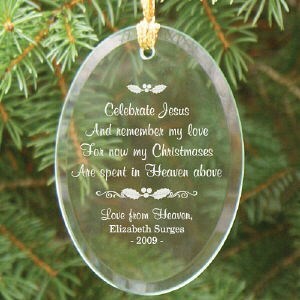 Our customers have contacted us to let us know how much this gift meant to them and aided in the healing process. Our customer’s healing and comments are truly valued. 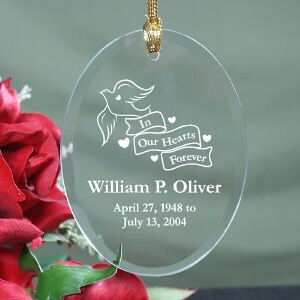 Many of our customers are not searching for funeral gifts, but for a personal memorial item that brings them comfort during their own grieving process. We carry many gifts, with this type of customer in mind, such as our Memorial Teddy Bears. This is our Favorite Sympathy Gifts idea. Creating a teddy bear from a lost loved one’s pajamas, Sunday dress, or favorite sweatshirt, is one of the most comforting ideas we can offer. 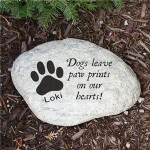 We hope to provide our customers with more than just sympathy gift ideas. RememberMeGiftBoutique.com also desires to be a valuable resource during the healing process with our daily inspiration and encouragement. We will continue to develop this important aspect of our business, simply because we care. A CUSTOM MEMORIAL TEDDY BEAR MADE WITH YOUR CLOTHING! RememberMeGiftBoutique.com would like to say “thank you” to our military by recognizing your courage and sacrifice this Memorial Day. For the entire week, we are accepting your stories and will award two Memorial Teddy Bears for your most touching stories. 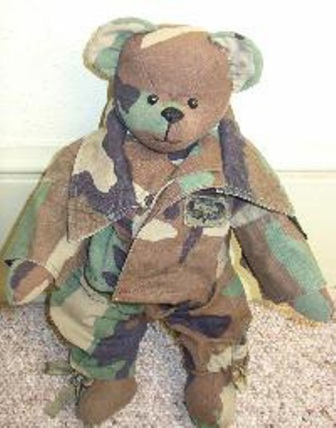 First, a Memorial Teddy Bear made with your personal clothing, will be given to family who has lost their loved one due to their courageous sacrifice. Second, a Memorial Teddy Bear will be given to the family with a loved one who has previously served or is currently serving our country. 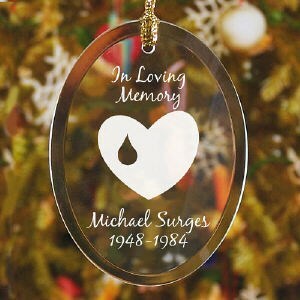 Simply e-mail your story and a picture to contactus@remembermegiftboutique.com. The deadline for submissions is June 3 midnight CST. The winner will be announced on our Facebook Page (“like” Remember Me to follow contest) on Tuesday, June 4th. Remember Me has always been extremely sensitive to the issues concerning our military families. With this contest, we are able to educate people about the sacrifices so many endure for our country. Your stories will be shared with others in an effort to educate and bring awareness to these sacrifices. The winners will be featured in a press release and articles as a public way to “thank you” for all you have done for us! 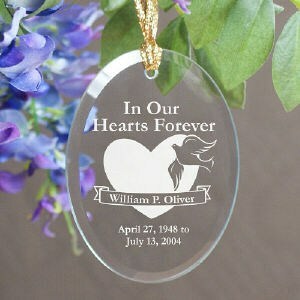 For customization ideas, please visit our keepsake custom bear sample page by clicking here. If you have any questions, please contactus@remembermegiftboutique.com.